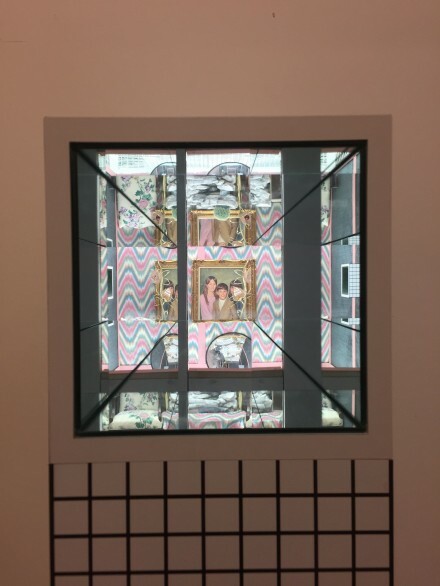 In their newest exhibition at Marlborough Chelsea, artist duo Jonah Freeman and Justin Lowe are inviting the viewers into another realm of phantasmagoria, in which rooms full of ambiguous tales are revealed in their most bizarre and contradictory forms. Floating Chain (High-Res Toni) is the duo’s third collaboration with Marlborough after 2012’s Stray Light Gray, which absorbed gallery visitors into adjacent chambers of gory experiments and untold incidents connected through curiously large holes on the walls. 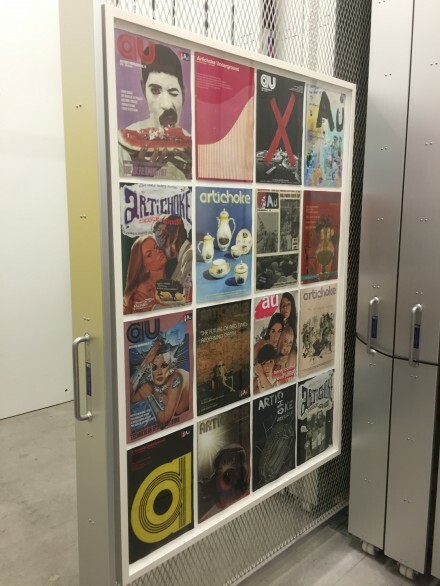 The current show begins its immersive journey in the main gallery room, and expands into the back office, where standard inventory cases are used for displaying a range of ephemera, from B-movie posters to retro magazine covers. Following the office room are consecutive chambers, each containing extremely detailed and mysterious objects all requiring special attention to be discovered and understood in their relation to the exhibition. 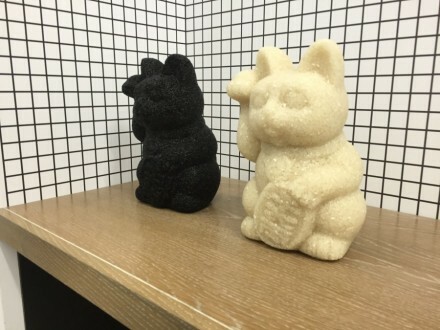 Among the repeating objects are Chinese cat dolls made out of black rice, images of plastic bags, surreal family portraits and collages of various ephemeral materials. Creating worlds that are bursting with intricate details, each of which reveals unfamiliar narratives and intersections of meaning, is something of a hallmark for the duo. Upon their first meeting in 2006, they discovered their interest in what they describe as “heady spaces that the architecture of various places puts you in.” Their debut was Hello Meth Lab in the Sun, an immense installation in which the visitors experienced a clandestine meth lab first-hand. The central theme of Floating Chain (High-Res Toni) is a namesake video piece that is on view in one of the rooms, offering chaotic and eerie sequences. 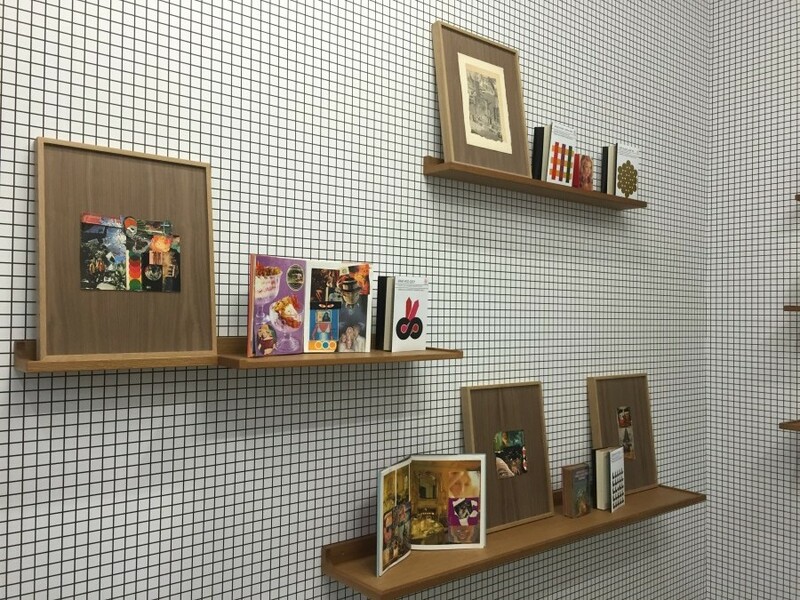 Supplementing the rooms, each vaguely signifying video segment allows possible attributions of certain time periods or social groups to the room, branching out into various narrative formats, each open to discovery and interpretation. The pattern for the gallery’s new structure is based on the utopian ideology suggested by the 60’s Italian architectural collective Superstudio whose theoretical manifesto, Continuous Monument, argues the possibility of a uniform, continuous structure covering the surface of Earth. Built as a gallery size replica of the collective’s thesis, the duo’s mini universe connects each room with repetitive details and kaleidoscopic peepholes that make voyeuristic gazes to other rooms possible. 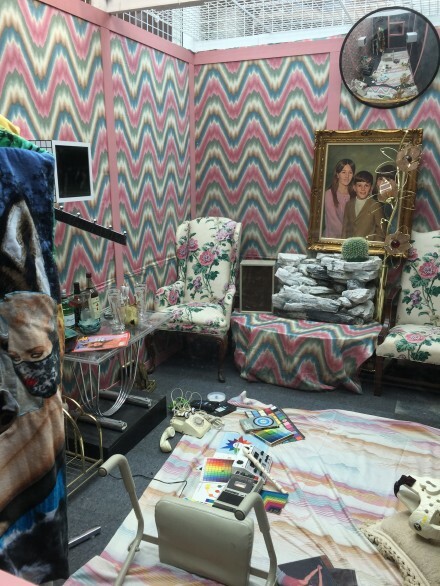 Jonah Freeman & Justin Lowe: Floating Chain (High-Res Toni) is on view at Marlborough Chelsea through November 29, 2014. *All images are by Osman Can Yerebakan for Art Observed. 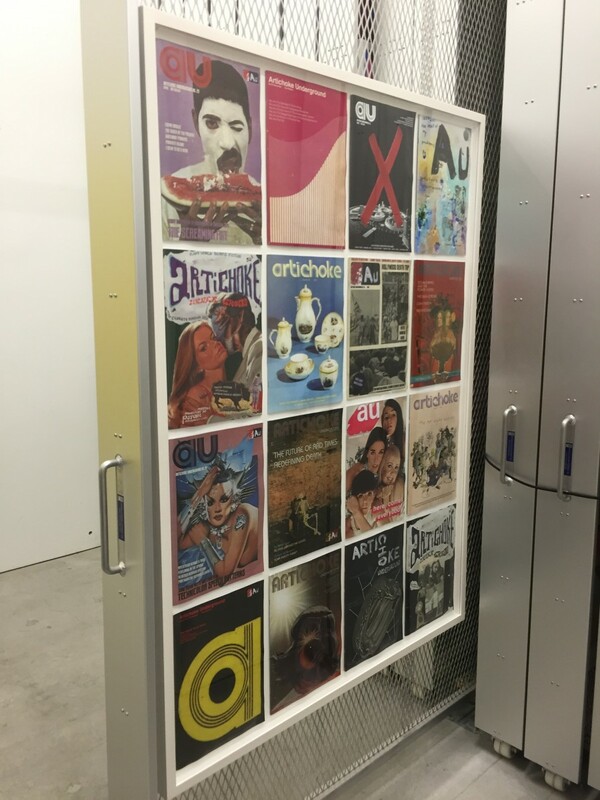 This entry was posted on Sunday, November 23rd, 2014 at 12:00 am	and is filed under Art News. You can follow any responses to this entry through the RSS 2.0 feed. You can leave a response, or trackback from your own site.